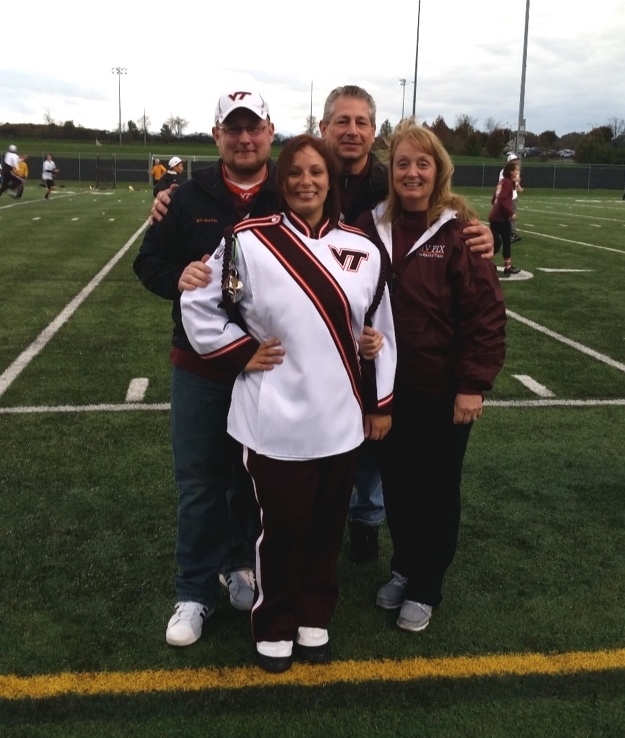 One quality of The Marching Virginians that members have always noted and enjoyed about being an MV was the sense of family being in the band provides. The friendships we make are incredibly strong and sometimes last a lifetime. For several lucky MVs, they get to experience a new family with their family! I’m talking about band siblings! Brothers and sisters who not only both became Hokies, but also made the band together. This post will feature a few of them. Shane (left) and Connor (right) are two Senior siblings of the Marching Virginians and, like a few other siblings in this post, they’re twins! Shane plays the clarinet in the band and Connor plays trombone, both have previously been managers for the MVs. Kensley (left) and Reagan (right) Bullins are also twins in the MVs. They are both currently Sophomores expected to graduate in 2021. Kensley is a member of the alto saxophone section and Reagan is a member of the trumpet section. Max “Baby Keys” MacCrate (left) and Nicki “Houston” MacCrate (right) are both members of the MVs. Max is a Senior in ISE who plays sax for the band and Nicki is a Sophomore studying MSE. She was a manager last year and now plays in the tuba section. Our next pair of siblings are Kent and Dean McDonough. Kent (left) is a Junior studying Computer Science. He is a Rank Captain in the Trumpet Section. Dean (right) is a Freshman in University Studies who plays in the ‘Tone Section of the MVs. Erin (center left) and Jenna (center right) Slezak are another pair of twins in the band. If the name looks familiar, that’s because I’m Erin! This is my post! My sister and I are both Sophomores at Tech. Jenna is studying Biology and I am a Professional and Technical Writing and Creative Writing double major. Last year I was a manager for the MVs and now I play in the Piccolo section. Jenna is a member of the Trumpet section. My little sister, Carley (right), marched with us in our high school band and wanted me to give her a shout out in exchange for the permission to use this photo. Emily (left) and Alyssa (right) Wills are our next pair of siblings. Emily just graduated this past semester with two B.S. degrees, one in Psychology and the other in Cognitive and Behavioral Neuroscience. Alyssa is a Freshman studying Psychology. They both play in the Piccolo section and Emily was one of the Rank Captains for the section. The pair were roommates this past semester living in the Hillcrest dorm together. Beau (left) and May (right) Wong are our last set of siblings. May is a Senior, and Beau is a Sophomore. They both play Clarinet for the MVs. May was the Rank Captain for “Dolla Sign Rank 9” this past season. Beau is on the Photography Team for the MVs, and you probably have seen his work on The Marching Virginians Facebook page! Beau almost became a percussionist in middle school when he was choosing an instrument, but May forced him to play clarinet and here they are today! 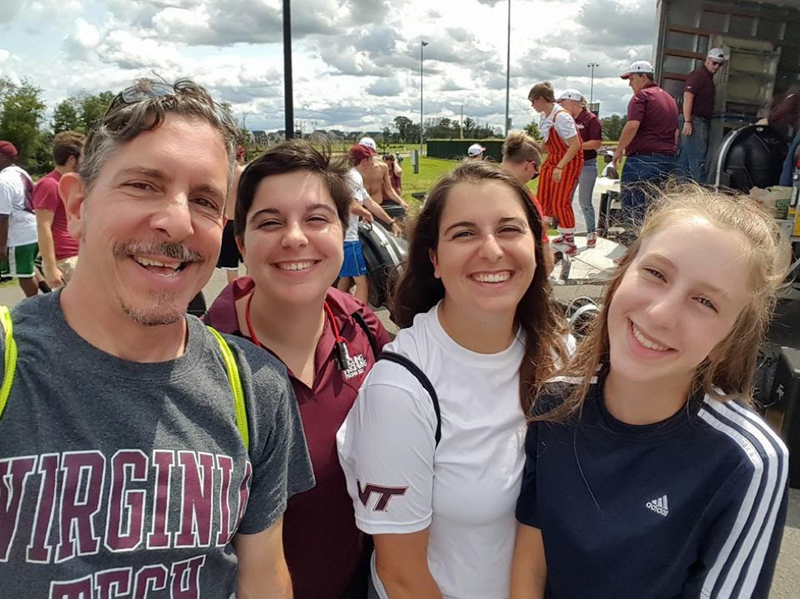 Ryan (left) and Meg (center left) Rodriguez are a pair of siblings that never got the chance to march at Tech together, but are still both proud of each other for being MVs. Ryan graduated from Tech in 2013 where he played Trumpet for the Highty Tighties for his first three years and then joined the MVs his senior year. Meg is a Senior in the Piccolo section who was inspired by her brother to join the MVs and felt it was a great way to remain close to him even when he wasn’t there. Aaron (left) and Andy (right) Taminger are another pair of marching siblings! Aaron marches Tuba for the Highty Tighties in the Corps of Cadets and plans to graduate in 2020. Andy is a ‘Bone in the MVs and is set to graduate in 2021. 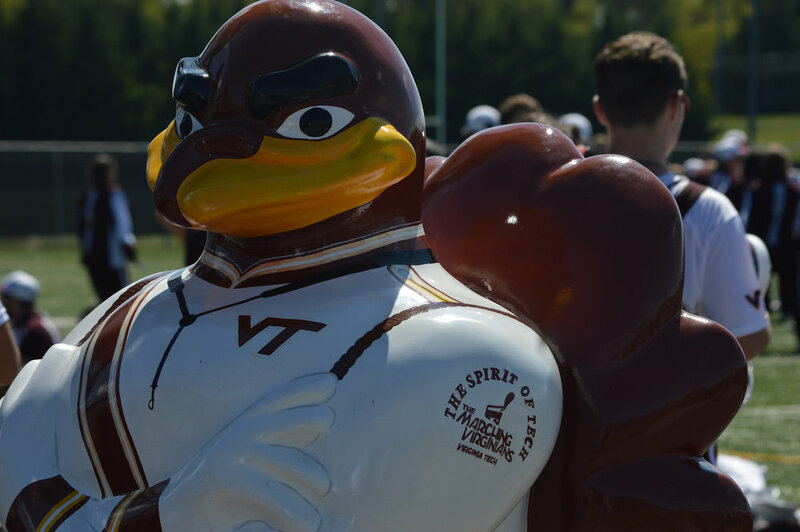 Both are very proud to have a family of “Hokie Low Brass”! Learn more about the writers behind Marching with the Virginians! Stay in step with The Spirit of Tech!